Pearla is a beautiful girl and at 14 years old she still maintains a low micron count at 22.2. She has all color in her background and so far when bred to white she has produced color. Her sire is the great Sinopsis Nocturna. She has a healthy frame, easy births and a long history of attractive offspring. 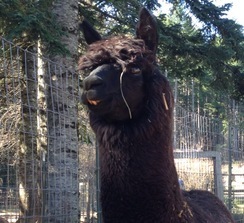 She is also a very gentle and friendly alpaca and is always one of the first ones to greet us at the fence! 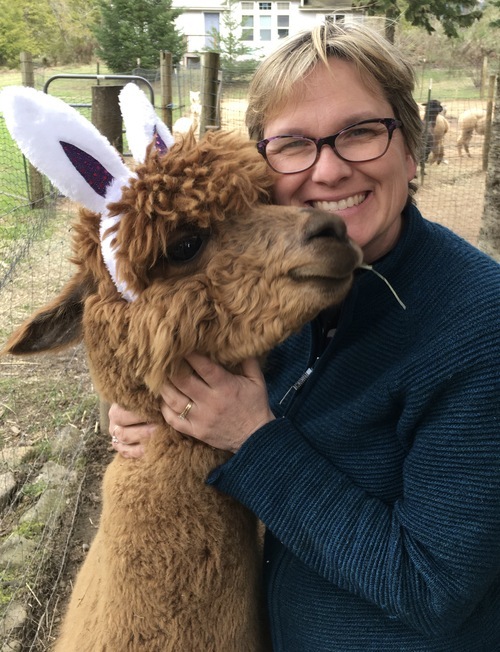 They say money can't buy you happiness but if you were to buy this sweet girl she would give you that happiness that alpaca owners understand! 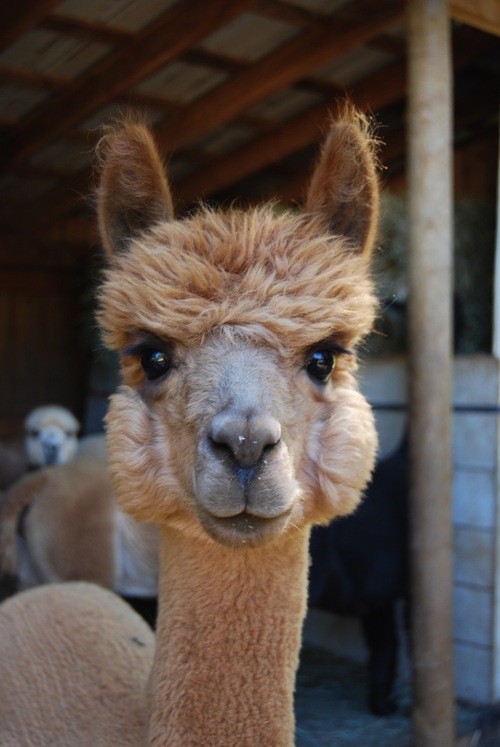 Her fleece is soft and has a nice handle and good staple length. Ruby gave birth to a RRoyal Stars daughter(Cedar's Opal) in the summer of 2017. What a personality on her! We shall be breeding her again in the spring of 2018. If you are interested in meeting Ruby give us a call. We will get you on her schedule!